Super Bowl 53 Helmet - Speed Authentic by Riddell | Sports Memorabilia! 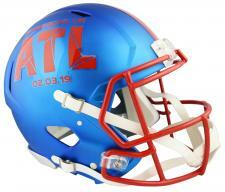 This is the 2019 Super Bowl 53 Helmet for the February 3, 2019 Super Bowl at the Mercedes-Benz Stadium in Atlanta, Georgia with the New England Patriots and the Los Angeles Rams. 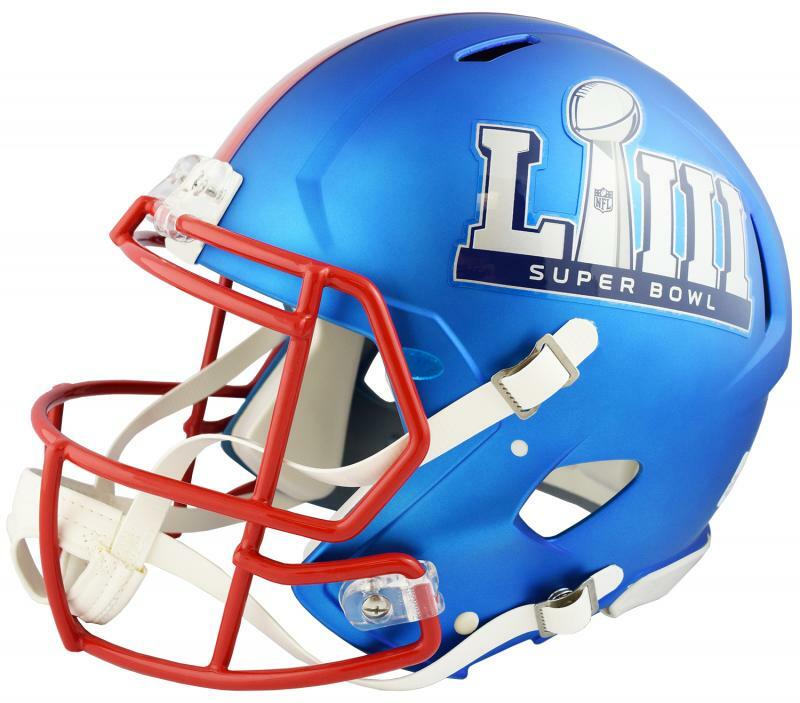 Each helmet has an electric blue anodized shell, scarlet facemask and officially licensed Super Bowl 52 side decals and top stripe. 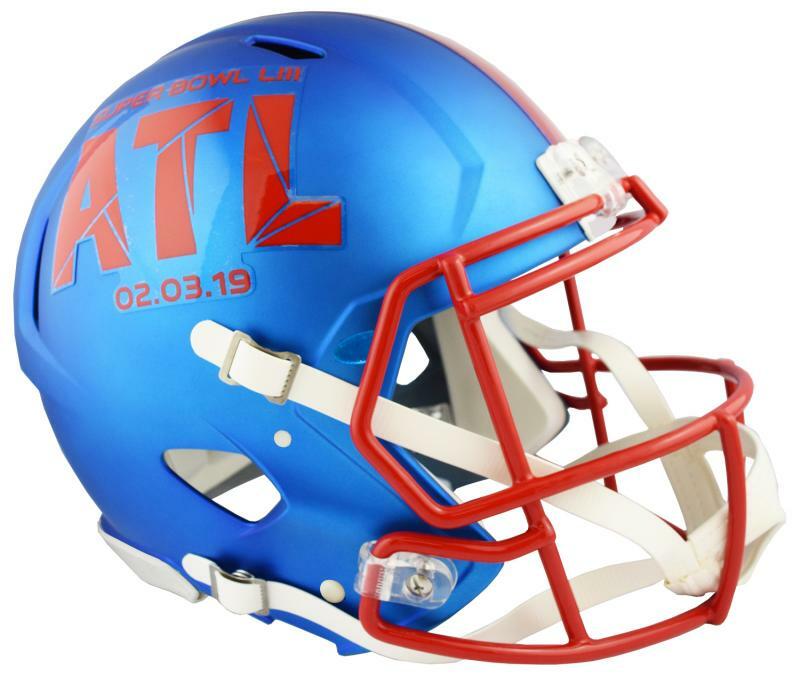 The left side has the Super Bowl LIII Lombardi Trophy Logo and the other side has the date and "ATL". These Super Bowl 53 helmets are available in Speed Replica and Speed Mini and include a manufacturers upcharge. The Super Bowl 53 Helmet Speed design is the primary helmet used by the current NFL and college players of today. It’s a must have item for any collection. Includes real interior padding, facemask and a 4-point chinstrap. Officially licensed and made by Riddell. Great for autographs. Approximately 10" tall.